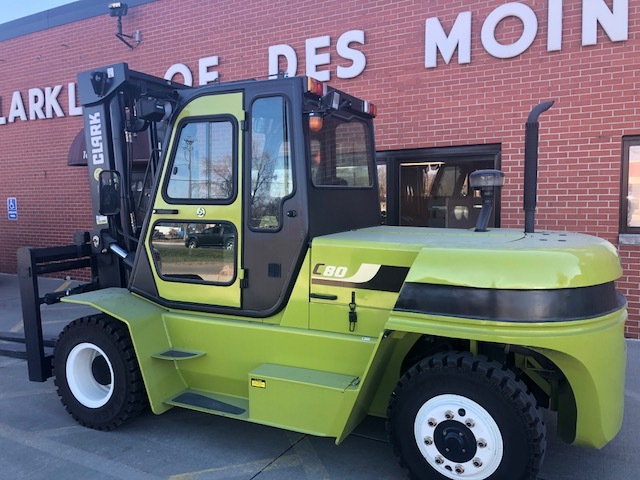 Complete Rental and Financial Merchandising Resources available from Forklifts of Des Moines and Forklifts of Omaha. 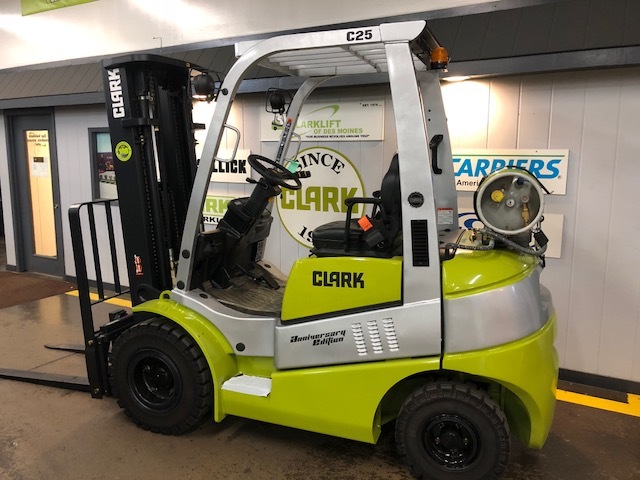 Forklifts maintain a large rental fleet to assist customers during seasonal peaks, break down and specialty forklift truck needs. Des Moines and Omaha locations combined 100 + units. 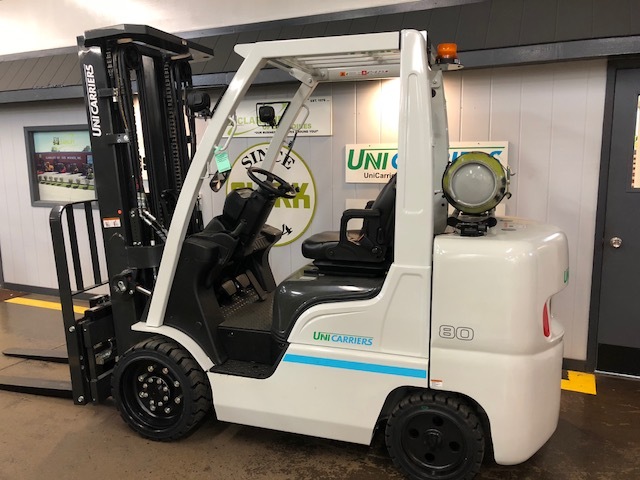 Capacities from 3,000 lbs up to 20,000 lbs, in stock, LP, electric and diesel power. Larger capacities available on request. 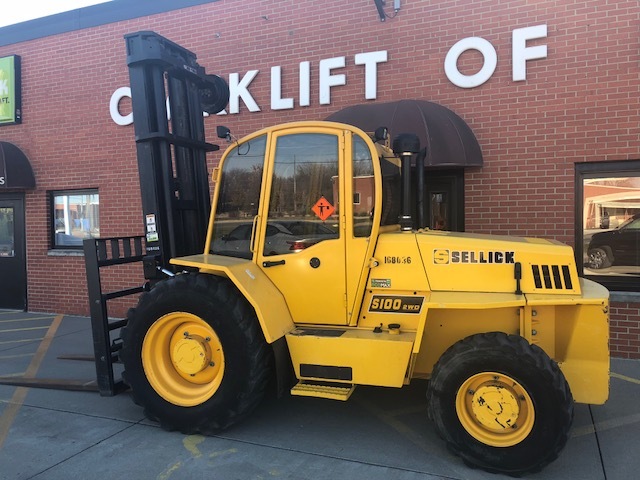 Many specialty rental forklift trucks available; multiple 240″ & 258″ Quad mast units, Sellick Rough terrain for unimproved surfaces. 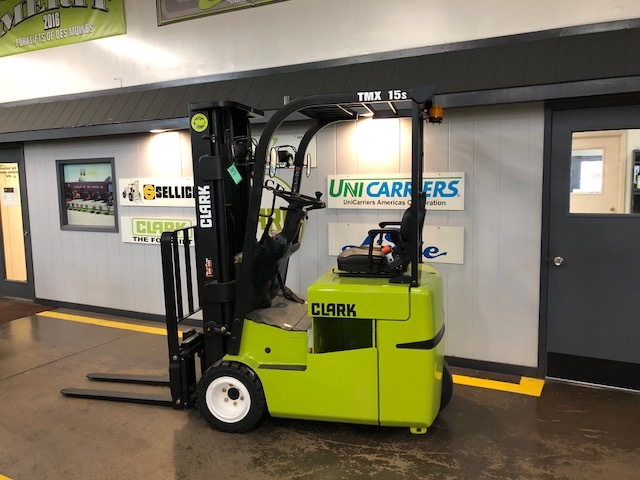 Narrow aisle, Electric Riders, Electric pallet trucks, and 5,000 LB Three Wheel = 10′ 9″ Aisle- Clark TMX25. Cushion Tire=warehouse tire, finished surface type forklift, Pneumatic Tire=yard type tire, semi-improved surface, snow, and ice.